Visa requirements for Belarusian citizens are administrative entry restrictions imposed on citizens of Belarus by the authorities of other states. As of 26 March 2019, Belarusian citizens had visa-free or visa on arrival access to 77 countries and territories, ranking the Belarusian passport 64th in terms of travel freedom according to the Henley Passport Index. If staying more than 10 days passengers visiting relatives must register with local police. If staying in a hotel, this will be arranged by the hotel. Who are of Armenian descent Government of Azerbaijan bans the entry. Visa free for 30 days, for a maximum total stay of 90 days within any year period. eVisa holders must arrive via Port Bouet Airport. Holders of a pre-clearance letter may collect visa upon arrival. Visa on arrival for holders of a letter of invitation from sponsor or host. Visa waiver for UK 'C' visa holders until October 2021. Entry permitted only if first point of entry to the Common Travel Area is in the UK. Available at international airports Luangphabang, Pakse, Savannakhet and Vientiane, and at 4 land borders Friendship Bridge,[Note 1] and at 13 border crossings[Note 2] as well as Tanalaeng train station in Vientiane, which connects to the train station in Nongkai, Thailand. 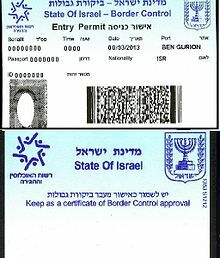 Granted free of charge at Beirut International Airport or any other port of entry if there is no Israeli visa or seal, holding a telephone number, an address in Lebanon, and a non refundable return or circle trip ticket. Must hold a voucher or travel through an agency. Available at Nouakchott–Oumtounsy International Airport. Must hold a voucher, confirmation of hotel or private accommodation or notarized invitation letter. Cruise ship passengers can enter and stay for up to 24 hours without a visa. Visa exemption agreement was signed on 19 October 2018 and it is not yet ratified. Cruise ship passengers visiting for one day are exempted from obtaining visas. According to the Law No. 2 of 2014 all visitors require visas prior to arrival. According to the IATA database, visa may be obtained on arrival and is valid for 15 days. Visa not required for tourist groups organised by a travel agency. A single entry eVisa valid for 30 days is also available. Mount Athos Visa required Special permit required (4 days: 25 euro for Orthodox visitors, 35 euro for non-Orthodox visitors, 18 euro for students). There is a visitors' quota: maximum 100 Orthodox and 10 non-Orthodox per day and women are not allowed. UN Buffer Zone in Cyprus Visa required Access Permit is required for travelling inside the zone, except Civil Use Areas. Jan Mayen Visa required Permit issued by the local police required for staying for less than 24 hours and permit issued by the Norwegian police for staying for more than 24 hours. Nagorno-Karabakh Republic Visa not required Travellers with Nagorno-Karabakh visa (expired or valid) or evidence of travel to Nagorno-Karabakh (stamps) will be permanently denied entry to Azerbaijan. South Ossetia Visa not required Three day prior notification required. Transnistria Visa not required Registration required after 24h. British Indian Ocean Territory Visa required Special permit required. Ascension Island eVisa From May 2015, the Ascension Island Government does not issue entry visas including eVisas to nationals of Belarus. Tristan da Cunha Visa required Permission to land required for 15/30 pounds sterling (yacht/ship passenger) for Tristan da Cunha Island or 20 pounds sterling for Gough Island, Inaccessible Island or Nightingale Islands. India PAP/RAP Visa required Protected Area Permit (PAP) required for all of Arunachal Pradesh, Manipur, Mizoram and parts of Himachal Pradesh, Jammu and Kashmir and Uttarakhand. Restricted Area Permit (RAP) required for all of Andaman and Nicobar Islands and Lakshadweep and parts of Sikkim. Some of these requirements are occasionally lifted for a year. Gorno-Badakhshan Autonomous Province Visa required OIVR permit required (15+5 Tajikistani Somoni) and another special permit (free of charge) is required for Lake Sarez. Tibet Autonomous Region Visa required Tibet Travel Permit required (10 US Dollars). Korean Demilitarized Zone Restricted zone. UNDOF Zone and Ghajar Restricted zone. Ashmore and Cartier Islands Visa required Special authorisation required. Clipperton Island Visa required Special permit required. United States Minor Outlying Islands Visa required Special permits required for Baker Island, Howland Island, Jarvis Island, Johnston Atoll, Kingman Reef, Midway Atoll, Palmyra Atoll and Wake Island. South Georgia and the South Sandwich Islands Visa required Pre-arrival permit from the Commissioner required (72 hours/1 month for 110/160 pounds sterling). Antarctica Special permits required for British Antarctic Territory, French Southern and Antarctic Lands, Argentine Antarctica, Australian Antarctic Territory, Chilean Antarctic Territory, Heard Island and McDonald Islands, Peter I Island, Queen Maud Land, Ross Dependency. Until 1 January 2008, Belarusian citizens had to apply for permission stamps in their passports in order to cross Belarusian borders. Permission stamps were only issued if there were no specific legal restrictions for their travel. In 2002, the Constitutional Court of Belarus stated in its decision that permission stamps were not constitutional. The Council of Ministers was ordered to propose a different kind of a citizen border control before 1 January 2006. The decree of the President of the Republic of Belarus dated 17 December 2007 finally abolished permission stamps. Many countries have entry restrictions on foreigners that go beyond the common requirement of having either a valid visa or a visa exemption. Such restrictions may be health related or impose additional documentation requirements on certain classes of people for diplomatic or political purposes. Some countries, including Australia, Canada, Fiji, New Zealand and the United States,  routinely deny entry to non-citizens who have a criminal record. A fingerprint scanner at Dulles International Airport collects biometric data on visitors, which can be used for confirmation of travelers' identities. Fingerprinting countries include Afghanistan, Argentina, Brunei, Cambodia, China, Ethiopia, Ghana, India, Japan, Malaysia upon entry and departure, Paraguay, Saudi Arabia, Singapore, South Korea, Taiwan, the United States, and Uganda. Many countries also require a photo be taken of people entering the country. The United States, which does not require exit immigration, intends to implement facial recognition for departing passengers to identify people who overstay their visa. iris scanning the third biometric identification technology internationally standardised since 2006 by the International Civil Aviation Organization (ICAO) for use in e-passports and the United Arab Emirates conducts iris scanning on visitors who need to apply for a visa. ^ "Global Ranking - Passport Index 2019" (PDF). Henley & Partners. Retrieved 3 April 2019. ^ "О безвизовом режиме между Республикой Беларусь и Аргентинской Республикой. - Посольство Республики Беларусь в Аргентинской Республике". ^ "Visitor e600 Visa Online Applications". Department of Immigration and Border Protection. ^ "Белорусы смогут путешествовать в Китай без визы с 10 августа". 2018-07-05. ^ "St. Kitts and Nevis and Belarus Sign Visa Waiver Agreement". 2018-11-02. ^ "القانون 2 لعام 2014 دخول وخروج وإقامة الأجانب في سوريا" [Law 2 of 2014 - Entry, exit and residence of foreigners in Syria]. People's Council of Syria. 12 March 2014. Retrieved 5 November 2017. ^ "قانون يحظر الدخول لسورية أو الخروج منها ...إلا لحامل جواز سفر ساري المفعول أو وثيقة مؤشر عليها بسمة دخول من إحدى البعثات الدبلوماسية السورية" [A law prohibiting entering or leaving Syria ... except for a holder of a valid passport or a document marked by an entry visa from a Syrian diplomatic mission] (in Arabic). Al-Watan (Syria). 12 March 2014. Archived from the original on 20 June 2014. Retrieved 5 November 2017. ^ "The Friends of Mount Athos - A Pilgrim's Guide to Mount Athos: Planning Your Visit". ^ "Pilgrims Informations". Archived from the original on 2007-12-01. Retrieved 2013-10-24. ^ "Northern Cyprus, Living in North Cyprus, Postal System, Passports and Visa". ^ "How to get to North Cyprus? - Passport, Visa & Entry Requirements". ^ "Jan Mayen Homesite, Edited by the Jan Mayen Crew". ^ "Ballina - Ministry of Foreign Affairs - Republic of Kosovo". ^ "The Office of the Nagorno Karabakh Republic in USA". ^ "Azərbaycan Respublikasının Xarici İşlər Nazirliyi Azərbaycan Respublikasının vətəndaşlarına Liviyada mövcud olan vəziyyətlə bağlı xəbərdarlıq edir, 12 may 2011-ci il". ^ "О визах | Министерство иностранных дел". ^ "Luxlana.net". Archived from the original on 2013-10-22. Retrieved 2015-08-04. ^ "Rules and recommendations | Transnistria tour". ^ "British Indian Ocean Territory travel advice". ^ "Ministry of Tourism - Tourism Service Center". ^ "VISA REQUIREMENTS FOR VISITING ST HELENA". St Helena Government. 14 December 2017. Retrieved 25 January 2018. ^ "Tristan da Cunha Tourism". ^ "Беларусь отменяет визы с Бразилией и Макао | Telegraf.by". ^ Visa, Bureau of Consular Affairs of Taiwan. ^ "Pamirs - the roof of the world". ^ "How to get Tibet Travel Permit, Successful Application Tips". ^ Do I need a visa for the Caribbean parts of the Kingdom?, Government of the Netherlands. ^ Ruling of 26 July 2011 regarding the documents and visas required for the entry of foreigners in the territory of Guadeloupe, French Guiana, Martinique, Réunion and the collectivity of Saint Pierre and Miquelon, Légifrance (in French). ^ "Clipperton - Ile de la Passion". ^ Ruling of 29 December 2011 regarding the documents and visas required for the entry of foreigners in the territory of French Polynesia, Légifrance (in French). ^ "Visit the Falkland Islands | Falklands". ^ "South Georgia and South Sandwich Islands (British Overseas Territory) travel advice". ^ "Antarctic tourism - British Antarctic Survey". ^ "British Antarctic Territory - GOV.UK". ^ "Accès aux Terres australes françaises". ^ "Accès aux îles Eparses". ^ "Forms expeditioners must sign". ^ AfricaNews (2019-01-14). "Gemalto awarded Uganda's new e-Immigration solution with fast-track border crossing eKiosks at Entebbe Airport". Africanews. Retrieved 2019-04-24. ^ Campoy, Ana; Campoy, Ana. "The US wants to scan the faces of all air passengers leaving the country". Quartz. Retrieved 2019-04-24. ^ "ICAO Document 9303: Machine Readable Travel Documents, Part 9: Deployment of Biometric Identification and Electronic Storage of Data in MRTDs, 7th edition" (PDF). 2015. Retrieved 23 April 2019. This page was last edited on 23 April 2019, at 18:23 (UTC).